Does Web Video Marketing Really Impact SEO? If you’re wondering how video marketing impacts SEO, you’ll be amazed at this statistic: Last year during the month of January, there were about 40 billion videos watched online in the United States. When you break that down further, that means the average person watches about four videos a day. Video is a powerful influencer and what’s more, it dramatically impacts SEO. Part of Google’s ever-changing algorithms revolves around social signals. What happens when you see a cool video? You share it on Facebook. You Tweet it to your Twitter followers. You want to get the word out to as many people as you possibly can. Right? Each one of those shares creates a virtual road for your company that leads back to the company website. Google likes those roads. They make Google spiders happy, and their happiness means better rankings in Google. With so many people watching videos, any business who doesn’t capitalize on web video advertising as a form of marketing stands to lose a lot of business; probably to their competition, who is. Videos work well because, as you probably know, we’ve become a society that depends on fast results. We’d rather watch a video for a few minutes than spend ten minutes scanning through an article. Not to mention, video is so much more powerful. When your video is done well, the images are imprinted on your brain. You’ll remember them later on when you’re looking for a business that provides a service or a product you need. If you’re still not convinced, think of the Superbowl. Companies spend millions of dollars for a thirty-second spot during the biggest sports game of the year. Why? Because those video images matter in terms of consumer sales, and product preferences. People actually look for stuff on video sites now, not just on Google or Bing. Do you know the worlds second largest search engine? YouTube. Not Bing, not Yahoo, but YouTube. Do you have quality content to be found? 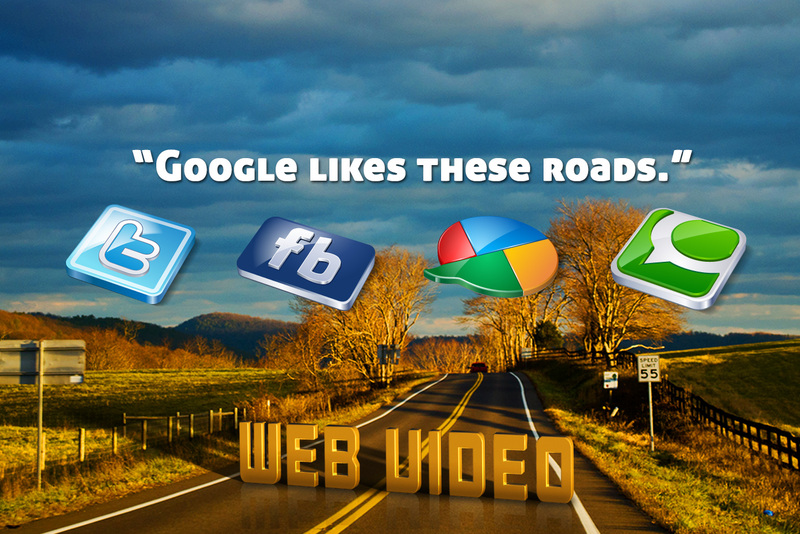 Your web videos will show up in search engine results. Web videos will often rank even better than your main website. Web videos sustain interest- visitors stay longer on websites that have videos. Web videos aren’t just for the web: use it at trade shows, presentations, DVD’s, television, digital signage. We’d love the opportunity to talk to you about your business and how our professional video services can help your search engine rankings soar. For more information, contact us today.